All Things Crafty: Photo Pillows - Take 2, or was it 3? 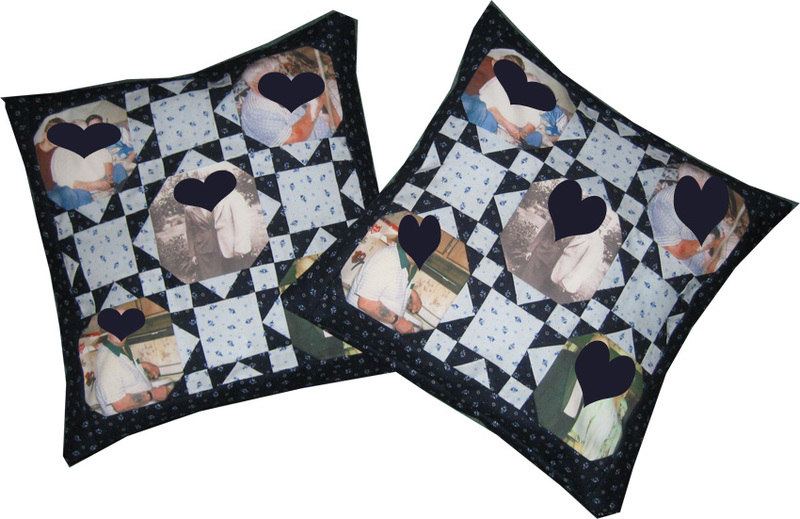 I successfully dismantled the photo pillows in the 12" format and cut out 2.25 borders and added them to the pillows. Remade pillow backings in the larger size. Trimmed up the pillows and backing again to get the straight square. A smidgen here and then a smidgen there. Sewed them all up, stuffed a 16" pillow in them and it didn't fit. Too snug!! Then realized I should have made the strips 2.5" and with my "little trimming here and there", they were just barely 15.75 big. So, I happened to have a 14" pillow form and tried it out. Looks great. If the receiver is OK with the size, we'll go with it. Otherwise, where'd I put that seam ripper?? What a week.